My post of last October 24 of course deserves a “reblog” here today. It’s that great time of year again! Beginning on the island of Corsica, ending at nighttime, and remaining– for the first time in a decade– entirely within the country for which the event is named, are just a few distinguishing new features of next year’s exciting journey. 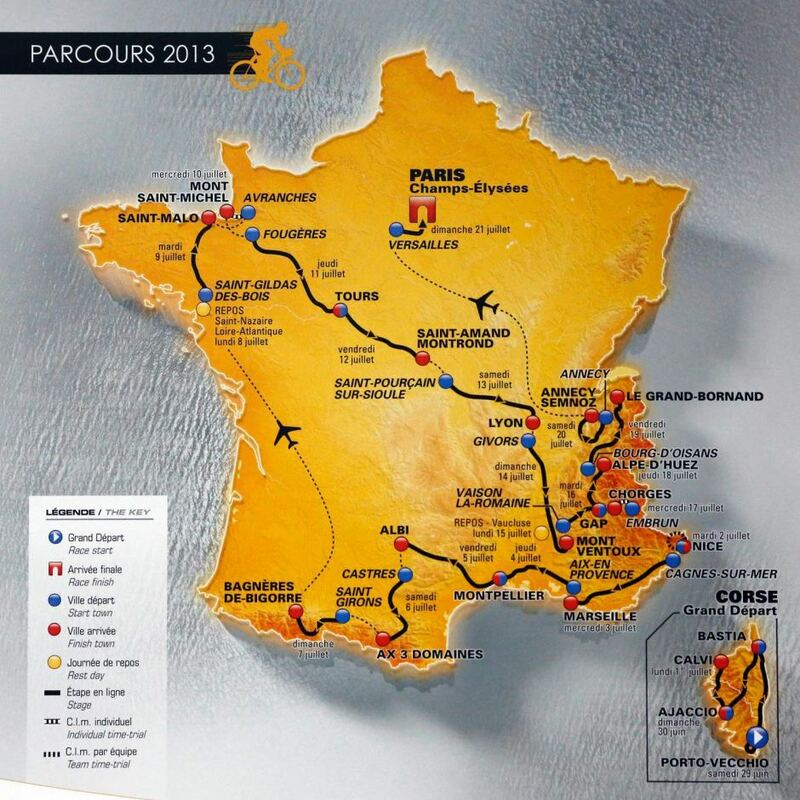 The route for the 100th Tour de France has hereby been unveiled!